The breakthrough in the development of the Hybrid fertilizer started with our bestseller Organic 8K. The combination of mineral and organic fertilizers provides a product that safeguards and strengthens the unique characteristics of both types. A perfect combination. Exclusive: Hybrid K is produced with organic and mineral fertilizer providing amazing properties. 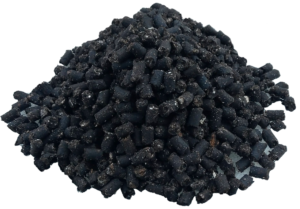 Homogenized: Ingredients in Hybrid K are uniformly mixed which ensures the same content in each pellet. It provides even distribution of all nutrients. 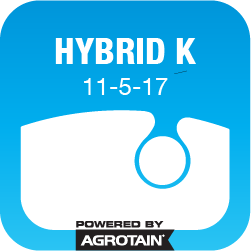 Soluble & Sustained Release: Hybrid K provides readily available and sustained-release forms of nutrients which allow for extended plant availability of nutrients throughout the growing season.